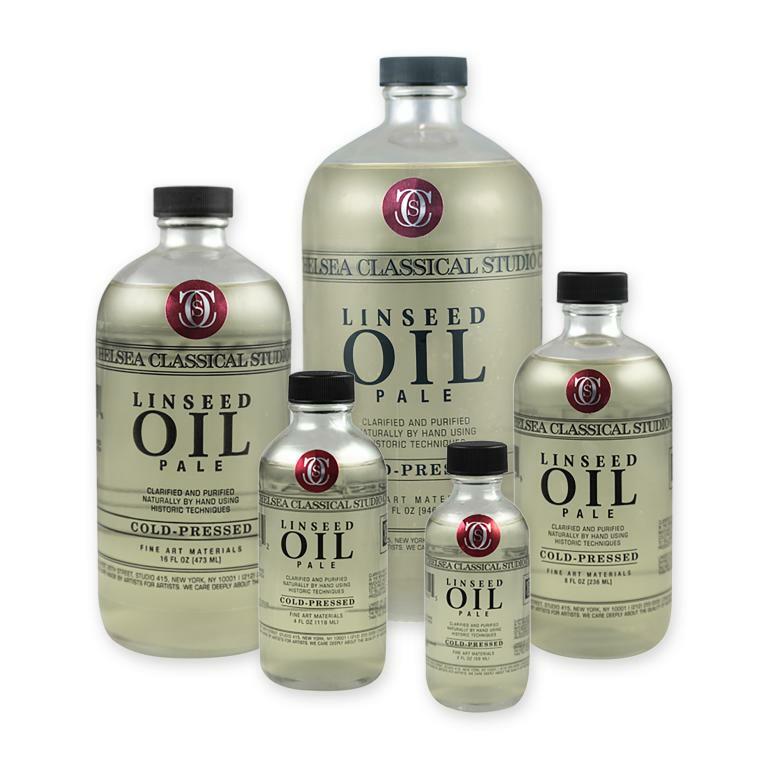 Chelsea Classical Studios Linseed Oil Pale Cold-Pressed is extracted using the more costly, time-tested method of cold-pressing oils. This method follows historic precedent by using the most natural oil and extraction processes. CCS does not use high-heat extracted oils. High-heat and chemically extracted oils have many more impurities than cold-pressed oils, and that extraction process may alter the oil’s natural properties. Raw cold-pressed oils have a dark yellow-orange color that can affect paint color. Most art material companies either sell the uncleaned raw cold-pressed oil, or use harsh chemical cleaning and bleaching processes to make the oils lighter in color. CCS Linseed Oil Pale Cold-Pressed is washed and cleaned using natural processes documented since the Renaissance.